The original building was built in the late 1870s. It was designed by the famous architect Ernst Ziller and included initially the basement, ground floor and first floor. After the disastrous fire of 1911 and the extensive repairs, the central amphitheater and much later the third floor were added. 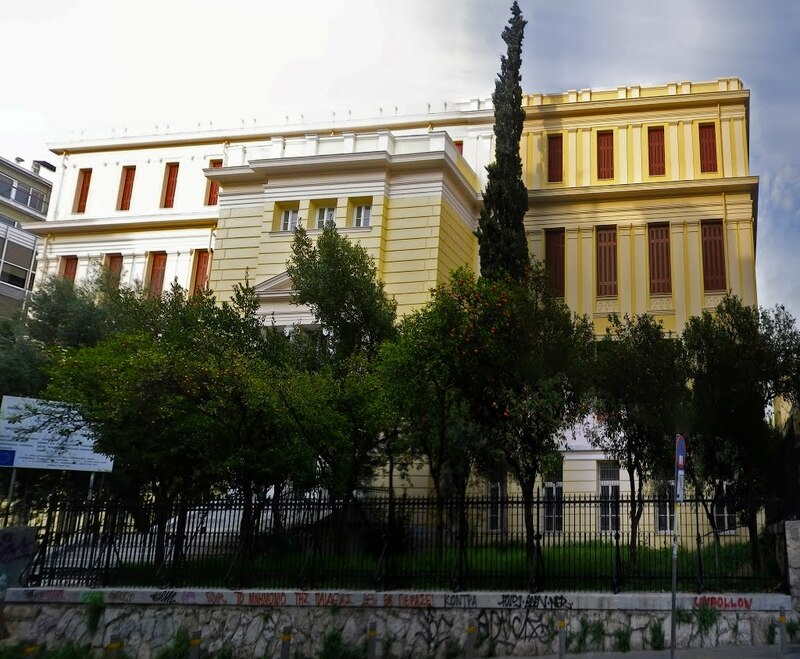 The building housed, apart from the School of Sciences, National Laboratory, the State General Laboratory, the National Bureau of Weights and Measures, the Geodetic Commission, Οceanographic Company, the Fysiodifiki Company, the Botanical Museum, the Group of Friends of radio, the Radio station University of Athens and the Museum of Natural Science and Technology. Indeed, on the day of release of Athens from German troops (12 October 1944) the experimental station of the Laboratory of Physics of UOA transmitted the news. Today houses the new library of the Athens Law School.